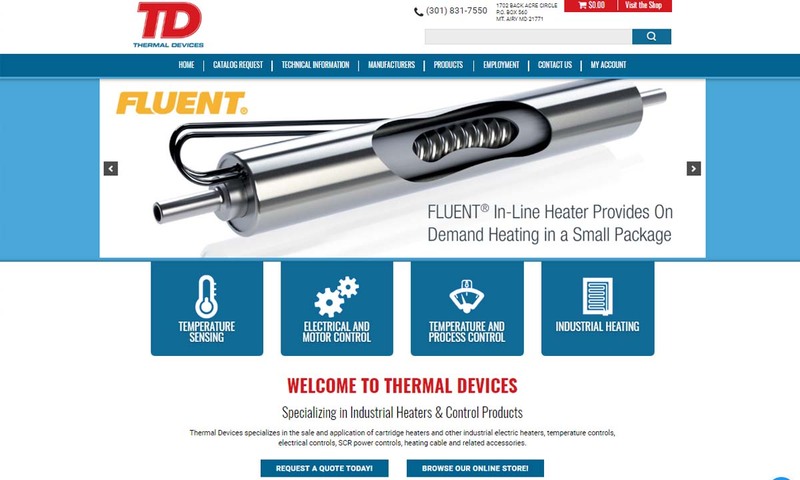 A reliable source for Heating Elements information and a resource for accessing leading Heating Elements and suppliers. The term “heating elements” refers to any and all heat generation equipment in electric heaters. 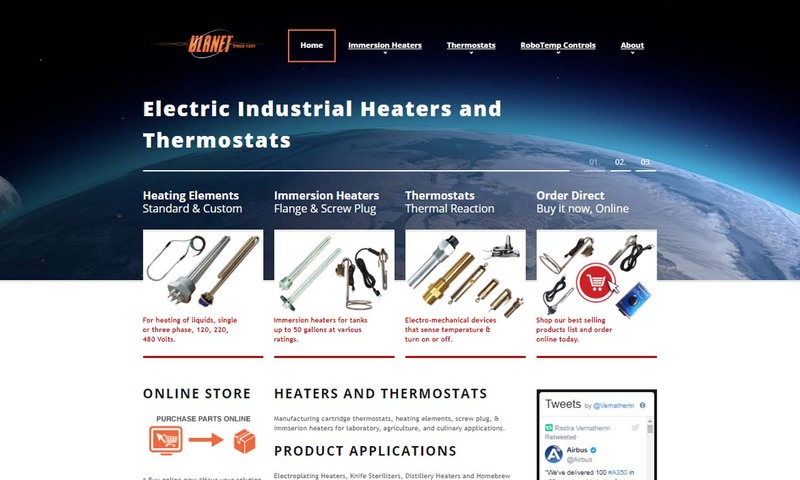 Hotwatt manufactures a complete line of heating elements for a wide range of uses. We offer a broad product line from electric to cartridge and countless other systems as well. For those difficult applications, custom products are also available. Ulanet™ has 78 years of engineering and manufacturing experience in the production of cartridge, hermetically sealed, miniature, capsule, industrial thermostats, thermal time delay relays, immersion heaters, and numerous other heating elements. Tutco SureHeat is part of the Tutco Heating Solutions Group, the world’s largest heating element manufacturer and supplier. Tutco SureHeat is a manufacturer of high pressure, low flow, and high temperature industrial electric air heating solutions. 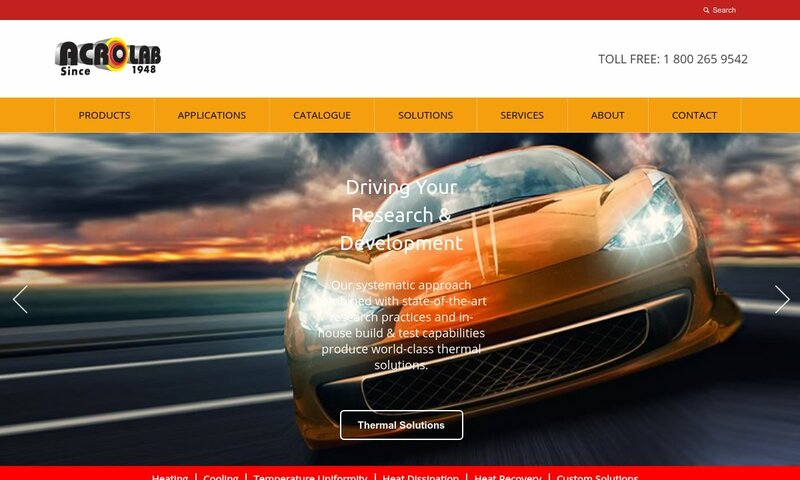 Acrolab has a diverse and comprehensive database consisting of thousands of application solutions that have aided our customers in resolving thermal management processing challenges, increasing their production rates and the bottom line. 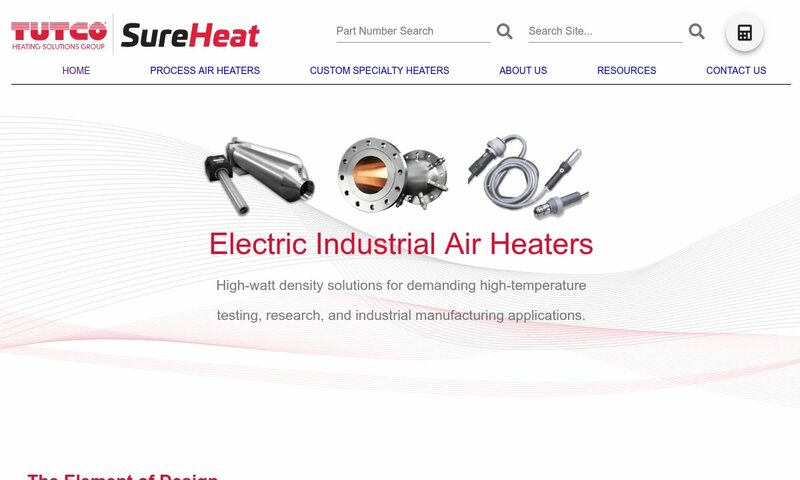 From air to circulation heaters, whether you are looking for band, or coil heaters, Thermal Devices is the place to go. Specializing in the sale and application of heating elements and accessories, our team can meet your needs. 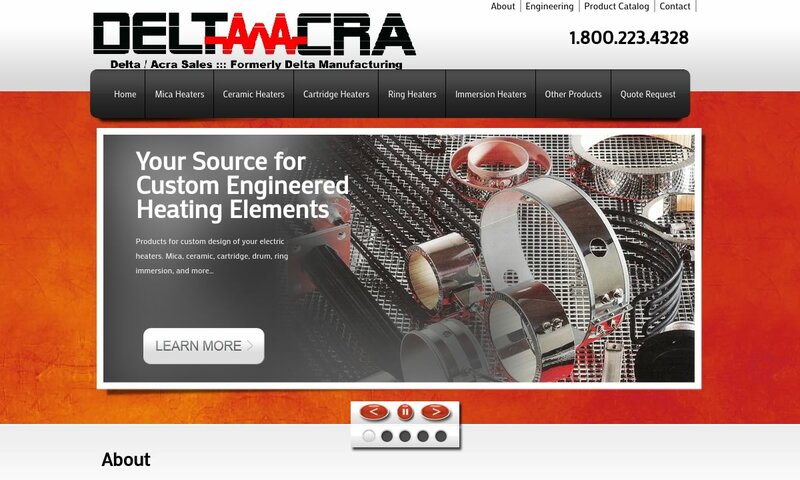 Delta Manufacturing is a manufacturer of industrial and commercial heating elements. We specialize in electric heaters, band heaters, strip heaters, cartridge heaters, tubular heaters and immersion heaters. At Penn Radiant, we focus on providing personal attention and service to each customer. We offer a vast array of industrial heating and cooling to commercial and industrial applications. Heating elements power heating appliances of the modern generation. Electric heaters, hair dryers, soldering irons, showers, water heaters, stoves, toasters, clothes dryers, etc. are just a few examples of the countless appliances that use heating elements. Heating elements are also extremely important in industrial and commercial settings, where they are used to power mechanisms like: diffusion pumps, kilns, furnaces and stainless steel liquid immersion heaters. Heating elements are essential to industries across from the board.  Some of the most prominent of those industries include: HVAC, electronics, healthcare, water, home heating, appliance, industrial manufacturing, metalworking, commercial food prep, semiconductor, ceramics and glass. In the 1879, Thomas Edison used a carbon filament to light his incandescent light bulb. Because this filament also generated heat, he has received the credit of inventing the first heating element. However, we did not begin using elements such as these specifically for heat generation until the next century. We did, however, work on forms of heating. The process by which heating works was first described and developed as the first law of thermodynamics in the late 19th century, by Julius Robert Mayer and James Prescott Joule. Soon after, the inventors of the age began applying thermodynamics in order to create heating elements. For example, in 1868, a painter from London, Benjamin Waddy Maughan, developed the first gas water heater. However, because it did not have a ventilation system with which to disperse vapors, it was not safe for home use. 21 years later, Edwin Ruud, a Norwegian-American, invented the first electric water heater, which worked much better. One of the earliest discovered heating elements still used today is silicon carbide. It was discovered in 1891 by American inventor Edward G. Acheson, who discovered it on accident when trying to synthesize diamonds. What he got instead was one a synthetic material that is extremely hard, and perfect for high temperature applications and semiconducting. The next decade, in 1905, Albert Marsh discovered NiChrome (chromel). Because NiChrome can reach temperatures 300 times hotter than the competing heating elements of the time, it revolutionized the industry. In 1906, Marsh patented his discovery. Just three years later, General Electric began selling the first successful electric toaster, using NiChrome. Not long after, manufacturers electrified tea kettles. First, they had to be heated on coil elements, but later the heating elements were built inside of them. Early on, heating elements were only used by the wealthy and by lucrative businesses. During the economic boom of post-World War II, though, electrical appliances with heater elements flooded the market and became commonplace in the home. Three typical heating appliances of the time were: bar heaters, electric radiators and portable oil-filled radiators. In the 1950s, radiant bar heating was incredibly popular because models were portable and could be plugged in anywhere. In addition, they provided heat very quickly. However, while they were less dangerous than fuel burning heaters, they did not have enough protective shielding, and exposed users to the possibility of burns. Also, if they were knocked over or someone draped clothes over them, they could easily start fires. Today, some people still use bar heaters, though they must meet much higher safety standards than they did in the 1950s. From the bar heater were born many other wire element heaters, such as the infrared heaters we use today. Into the 1960s, as homeowners began to rely on home heating more and more, prices skyrocketed. As a way to bring heating costs down, manufacturers in the U.K. invented a new heater type, the storage heater. Storage heaters worked using electric heating elements that heated thermal bricks inside the thermal body overnight. Then, during the day, users could release the heat as needed without generating more electricity. In the 1970s, governments around the world faced an oil crisis, and so turned to more electricity heating elements. Eventually, storage heaters went out of style because they had to be manually operated and required a lot of predictive action by users. In addition, they weren’t energy efficient. Once the 1990s hit, people began to swap out their industrial and home heating systems for more modern electric radiators, which are easier to control, faster heating and more energy efficient. Another innovation of the 90s was the screen-printing of metal-ceramic tracks onto ceramic insulated metal. Heating elements created this way are widely used in domestic appliances like kettles. The digital growth of the 21st century has allowed heating elements and the systems they serve to become much more sensitive, intuitive and energy efficient. Heating element assemblies now include elements like LED screens, Wi-Fi control, smart meters, digital keypads and digital programmers for temperature heating schedules. Features like these allow modern heating elements to work with extreme precision and complexity. Another distinction of 21st century heating elements is the fact that they rely much less heavily on fossil fuels, as sustainability, energy efficiency and health have become much more important. Heating elements are responsible for converting electricity into heat. For the translation of energy, they follow the theory of Joule Heating. When electric energy goes through an element, it lands on a high-capacity resistance. Resistance converts to electrical energy, which converts to heat energy. The amount of heat energy produced correlates to how much the material resists the applied electrical current. Measurement of the resistivity of a given length of element wire is based on resistance per length and cross-sectional area. Engineers measure this in Ohms per meter. In turn, they use ohms to calculate the element’s kilowatt (kw) load. The kw load represents how much electrical power the heating element carries. Heating element varieties used in industrial, commercial and consumer applications include: immersion, quartz, flexible, infrared, wire, ceramic, electric, metal-based and composite heating elements, among many others. Immersion heating elements are used to heat gases and liquids; they have the special ability to be immersed in the materials they heat without malfunctioning. Immersion heaters are further characterized by their fast, efficient and cost-effective heating solutions. Types of materials they typically heat include plating baths, mild acids, oils, water, salts, air, and chemical solutions. Immersion heating elements are primarily with systems like: process systems, boilers, water heaters, heat transfer systems, oil heaters, and storage tanks. Quartz heating elements convert electrical currents into infrared rays by running them through special resistors. In doing so, they provide rapid heating. These fast process speeds make them very popular for use with industrial applications like film curing, thermoforming, powder coatings, adhesive sealing, and paint drying, as well as zone control applications in automotive, print, petrochemical, textile, glass and electronic industries. Flexible heating elements are able to bond to a variety of compounds and shapes and provide direct heating. This versatility is possible because they are very thin and bendable. Infrared heating elements emit heat in the form of infrared waves, which are a type of electromagnetic radiation known for transferring heat efficiently. Infrared heating elements are used in conjunction with radiating heaters like duct, immersion, and tubular heaters, which heat air or liquid on the large scale. They support industrial ovens, pressure vessel heating, storage tank heating, boilers, water treatment plants, steam generation and more. Commonly, heating elements, whatever their type, are found in the form of coils or wires. In fact, wire heating elements are among the most widely used heating elements for industrial and commercial drying. To make them, manufacturers map them out with wire diagrams. They are found in surface treatment heaters, kilns, and many other dryers. Another type of heating element, the ceramic heating element, is utilized in convection heating; ceramic elements are built into space heaters, furnaces and semiconductors. There are several types of ceramic heating elements, including molybdenum disilicide and PTC. Molybdenum Disilicide is a material that shows the characteristics of both a metal and ceramic. With an extremely high melting point, (to be precise, 3690 º F), it is considered ideal for a number of high-capacity heating elements, used across industries, including the glass manufacturing. PTC, which extends to positive thermal coefficient for resistance, is a high-profile ceramic material that is utilized in automotive rear-window defrost heaters, space heaters and expensive hair dryers. There is also available polymer based PTC ceramics that are used in many purpose-built heaters. These elements increase the heating as their resistance is amplified. Controlling the heating of these elements is simple, that is because they are the selection for self-regulating electric heaters. Electric heating elements are quite prevalent as well, especially in the service of industrial electric heaters. Cartridge heaters supply localized heat to equipment parts in metal fabricating, foam fabricating, plastic fabricating, food processing and packaging. As the name suggests, metal-based heater bodies are composed primarily of metals. Because metal is generally such a good conductor of heat and electricity, metal-based elements make one of the most effective heating elements. They are used in everyday and industrial appliances alike. They can be classified in many subtypes, including nichrome-based heating elements and resistance element wire based heating elements. A large number of electric heaters have elements made of nichrome, which is an alloy made up primarily of nickel and chrome. Nichrome based heaters use alloys of 80% nickel and 20% chromium. Some metal-based parts are composed by a set of high resistant wires and ribbons. These wires can be sometimes straight or coiled, as per the design and heating capacity of the appliance. These wires are used as resistance. The applications, in which you can find such provisioning, are toasters and handheld body massagers. Kanthal, nichrome and cupronickel are a few most used metals in the conception of resistance wires. Coil heaters, band heaters or strip heaters help extruding channels and hoppers maintain the plasticity of materials as they are being extruded. Composite heating elements are heating elements made up of a mixture of metallic and ceramic materials. These heating elements are available in many types, including, among others, tubular elements, radioactive elements and removable ceramic core heating elements. Tubular elements are basically metallic tubes that have a thin coil of nichrome, which heats up the application. Named for their tubular shape, tubular heating elements are found in ovens, dishwashers and more. They may be manipulated into a standard shape or they may be take on a custom shape for a specific application. Radioactive elements, also known as heat lamps, are high powered incandescent lamps that primarily radiate infrared waves, not visible light. Most often, they’re used in radiant space heaters and many types of food warmers. They come in two main styles: tubular and R40 reflector lamp. Reflector lamp heating elements come in a few main styles: gold coated, ruby red coated and clear. • Gold coated lamps feature a deposited gold dichroic film on the inside. This reduces visible light and lets through the majority of the short and medium infrared waves. These are primarily used to heat people. • Ruby coated lamps have the same function as gold coated lamps. They are much less expensive than gold coated lamps, but they permit a much stronger visible glare. • Clear lamps have no coating, and are used primarily in industrial production processes. These heating elements are made up of coiled resistance wire threaded through one or more cylindrical ceramic segments that may or may not feature a center rod. They work when inserted into a metal tube or sheath that is sealed at one end. Because of this, users can replace or repair removable elements easily, without fear of breaking anything. Usually, they’re used to heat a fluid under pressure. These heating elements are made up of a combination of carbon fiber and a resistive material like nickel, a thermoset like epoxy or a thermoplastic like PEEK. Carbon fiber composite elements are generally corrosion resistant, extreme temperature resistant and lightweight. They’re often used in aircraft de-icing, consumer heating and industrial heating. If and what heating element accessories you need will depend entirely on your application. Here some examples of a few you might come across: wire and element holders, thermal switches, manual connecting clips, pliers, braided wire, silicone O-rings, bolts, adaptors, extension cords, power cords and electrical boxes. In order to achieve safe and effective operations, you must correctly pair your heating element and its application. A failure to do so has the potential to result in short circuiting, fires, product damage or equipment loss. Most heaters tend to lose their heating capacity over time. When the performance of a heater declines, that simply means there is some issue with its heating element. So, from time to time, you will need to replace your heating element. Generally, manufacturers will offer options stock purchasable or custom-made replacement elements, depending on customer needs. More often than not, this replacement process has a fairly quick turnaround time and is considered a part of a regular maintenance schedule. If a heating element goes out in an end-user item, like a hairdryer, however, it’s probably more economical to replace the whole item rather than its heating element. Manufacturers may offer to install the replacement element, or you may do it yourself. For a step-by-step guide to testing and replacing an old heating element, keep reading. Our tips promote user safety; however, if you feel unsure, you should ask an expert to do the testing and replacement. 1. First, perform a visual inspection. If you see any sign of discoloration, damage, or burning on the coil, then the element will need to be replaced. If you do not notice anything unusual during the initial assessment, then you can proceed. 2. Calculate the resistance of the element. This is a mathematical exercise; you can use a calculator to find the resistance of the part. The simple formula for this calculation is: R = (V x V) ÷ P. In this equation, R stands for resistance, V for voltage, whereas P stands for the power that the element needs. 3. Once you have the resistance, it is time to check the element using a metering tool – multimeter. Set the device to show resistance and choose an appropriate measuring scale for this. Make sure that the heater is not connected to the power supply. Now, measure the resistance of the element by touching the terminals of the heating elements with the leads of the multimeter. 4. Match the resistance reading provided by the multimeter with the one that you calculated. If there is a match, then there is no problem with the element. In this case, if you noticed any irregularity in the heating of your appliance lately, then there probably is some other issue with it. You need to get that checked by a repair service. However, if the observed reading is higher or lower than what you calculated, then you will need to replace the element. You could get this done by a professional service or you could check out a video tutorial for the element replacement. NOTE: If you are performing this test in a water heater, you will need to drain out all the water from the tank and allow it to dry out completely. You should also unplug the device and turn off the breaker panel. Once done, carefully remove the electric wires and open the tank to perform the test and replacement. All heating elements must comply with UL (Underwriters Laboratories) safety standards. UL has compliance standards for a wide variety of heating element applications, such as electric ducting heating, commercial electric cooking and heating and electric sheathed heating elements. We also recommend that any and all electric wire heating elements meet the standards of the National Electrical Code (NFPA 70). While NFPA standards are not nationally enforced, many states have adopted them into law. Depending on your industry, application and region it is possible that your heating elements will need to comply with additional standards. To learn more, discuss your specifications with your supplier. Heating elements can make or break your application. More than that, if improperly matched or installed, they can be dangerous. So, it’s important that you only work with a trustworthy and experienced professional. 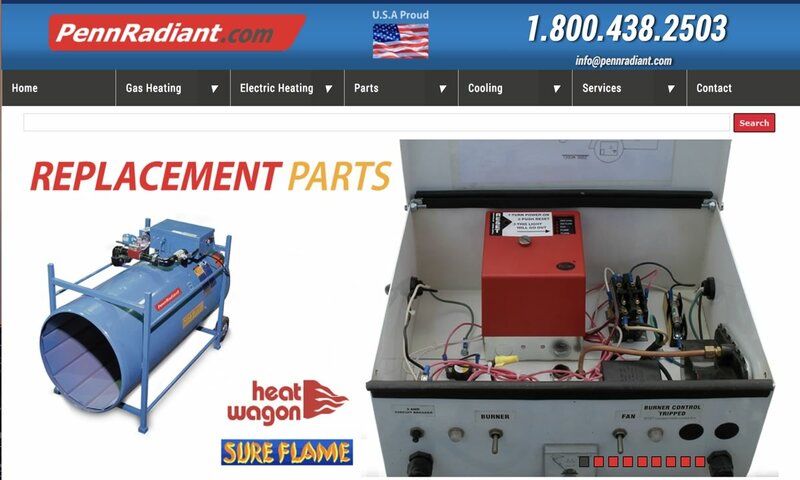 More than that, for the very best results, you need to work with a heating element manufacturer that is committed to producing you the best, most helpful products possible. 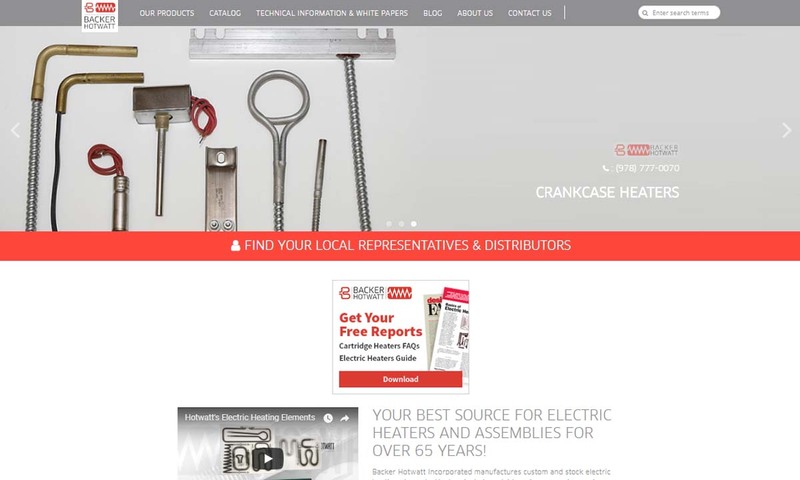 Find a manufacturer like this by browsing the many high-quality heating element companies we have listed on this page.